The concept of reflective practice has proliferated over the last few decades in many professions such as medicine, law, business and education. Within the field of education reflective practice has become a very popular concept within teacher education and development programs and perhaps its main appeal according to Loughran (2000: 33) is that it ‘rings true for most people as something useful’ to practice. Indeed as McLaughlin (1999:9) has remarked, ‘Who would want to champion the unreflective practitioner?’ The general consensus is that teachers who are encouraged to engage in reflective practice can gain new insight of their practice. There have been similar developments in the field of teaching English to speakers of other languages (TESOL) where the allure of reflective practice seems to have also been embraced as an important educational paradigm that should be supported in teacher education and development programs. This book is the first in a new series consisting of several practical oriented books that introduce cutting-edge research and practical applications of that research related to reflective practice in language education. Written by the series editor, it acts an introduction to the series and outlines and discusses the concept of reflective practice in general, the various models and approaches to reflective practice and gives guidance on cultivating reflective practice. The concept of reflective practice has proliferated over the last few decades in many professions such as medicine, law, business and education. Within the field of education reflective practice has become a very popular concept within teacher education and development programs and perhaps its main appeal according to Loughran (2000: 33) is that it “rings true for most people as something useful” to practice. Indeed as McLaughlin (1999:9) has remarked, “Who would want to champion the unreflective practitioner?” The general consensus is that teachers who are encouraged to engage in reflective practice can gain new insight of their practice. There have been similar developments in the field of teaching English to speakers of other languages (TESOL) where the allure of reflective practice seems to have also been embraced as an important educational paradigm that should be supported in teacher education and development programs. This book is the first in a new series consisting of several practical oriented books that introduce cutting-edge research and practical applications of that research related to reflective practice in language education. Written by the series editor, it acts an introduction to the series and outlines and discusses the concept of reflective practice in general, the various models and approaches to reflective practice and gives guidance on cultivating reflective practice. Reflection and reflective practice have now become common terms used in teacher education and development programs worldwide. However, there is still not agreement across the professions about how to define the concept or indeed what strategies promote reflection. This chapter will first discuss the terms reflection, reflective practice and critical reflection to set the scene for the remainder of the discussion on what reflective practice is by outlining different definitions of reflective practice as outlined in the literature in general education and TESOL and the different levels of reflection. This chapter thus outlines and discusses different typologies of reflective practice starting with John Dewey’s original typology and then move to Donald Schön’s development of Dewey’s original reflective inquiry model. Since Schön’s work led to reigniting interest in reflective practice, many different typologies developed and are discussed in this chapter. These include discussions of typologies by David Kolb, Graham Gibbs, Christopher Johns, Stephen Brookfield, and Terry Borton. 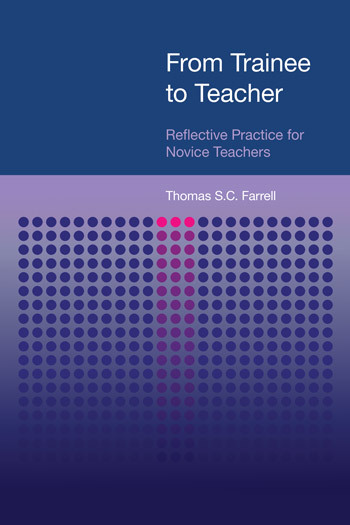 The chapter also outlines and discusses this author’s understanding of the concept of reflective practice in the field of teaching English to speakers of other languages (TESOL) and his interpretation of this concept through his two typologies of reflection: his early typology as well as his relatively new typology or framework for reflecting on practice for TESOL professionals. This chapter outlines and discuss six principles of reflective practice. Principle 1: Reflective Practice is Holistic; Principle 2: Reflective Practice is Evidence-Based; Principle 3: Reflective Practice Involves Dialogue; Principle 4: Reflective Practice Bridges Principles & Practices; Principle 5: Reflective practice Requires a Disposition to Inquiry; Principle 6: Reflective Practice is A Way of Life. These principles show how the important concept of reflective practice is not just a collection of methods to ‘fix’ perceived problems related to teaching. The the six principles outlined and discussed in this chapter point to the depth associated with reflection that starts with the teacher-as-person and extends into and beyond the classroom to encompass a teacher’s career and life. This chapter outlines and discusses the most frequently used reflective tools or instruments that teachers can use and how they can be used. These include dialogue, writing, classroom observations, action research, narrative study, lesson study, case analysis and concept mapping. The chapter also discusses the benefits and challenges of using such tools as they reflect on their practice. This chapter outlines one experienced TESOL teacher’s reflective journey using a framework for reflecting on practice that included reflections on his philosophy, principles, theory, practice, and beyond practice. The results of his reflective journey revealed that the common themes of approachability, art-oriented conceptions, and curiosity emerged in all aspects of his reflections. However, these themes did not emerge in the same form in each aspect of teacher’s reflections, but rather as uniquely influential parts of a larger whole. The holistic framework for teacher reflection employed in his journey provided multiple filters through which these various parts could be viewed. The complex and dynamic nature of this type of reflection attests to the importance of frequent reflective practice for gaining a complete understanding of the factors that influence what teachers do in the classroom. 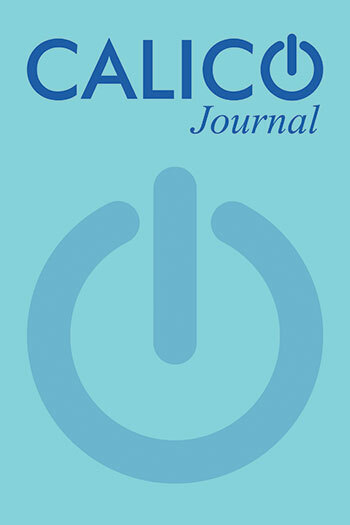 This chapter outlines and discusses how reflective practice can be cultivated individually and within a school or institution so that it can move from its customary place in many institutions as a mandatory ritual to a more meaningful developmental and collaborative process for teachers, and administrators. The power of reflective practice will be more powerful if it is more collegial and if everyone sees its benefits and an integral part of organizational life in such educational settings. The chapter begins though by suggesting that before we can encourage a culture of reflection in the school, we must first cultivate a reflective disposition in individual teachers within the school. This final chapter poses ten important questions related to reflective practice: 1. Has reflective practice become just another bandwagon? 2. Has TESOL embraced reflective practice? 3. How can we make reflective practice workable for all teachers? 4. Is it possible to teach preservice language teachers to reflect? 5. Can reflection be faked? 6. Is it possible to assess reflection? 7. Can reflective practice be used for teacher evaluation? 8. What are some of the criticisms of reflective practice? 9. What are the benefits of engaging in reflective practice? 10. What is the future for reflective practice? The chapter attempts to answer each question.